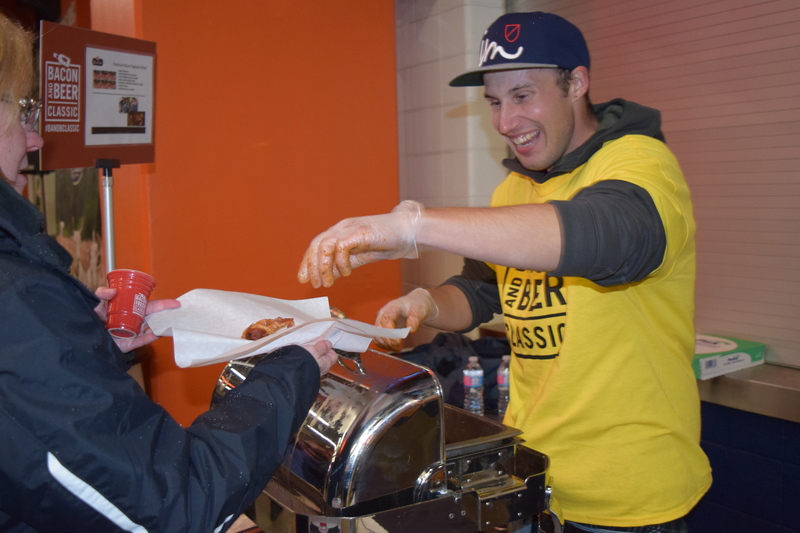 Bacon and Beer – Need We Say More? 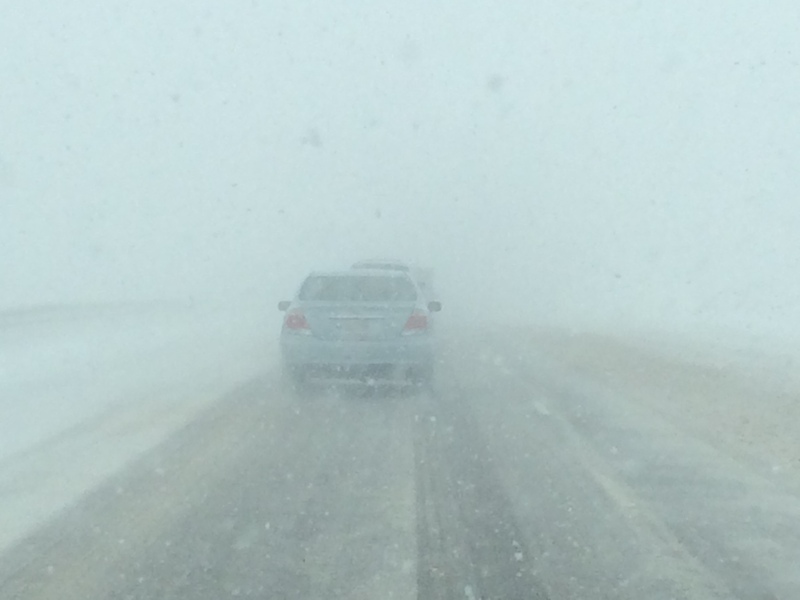 What would get us to drive an hour and a half through a blizzard? 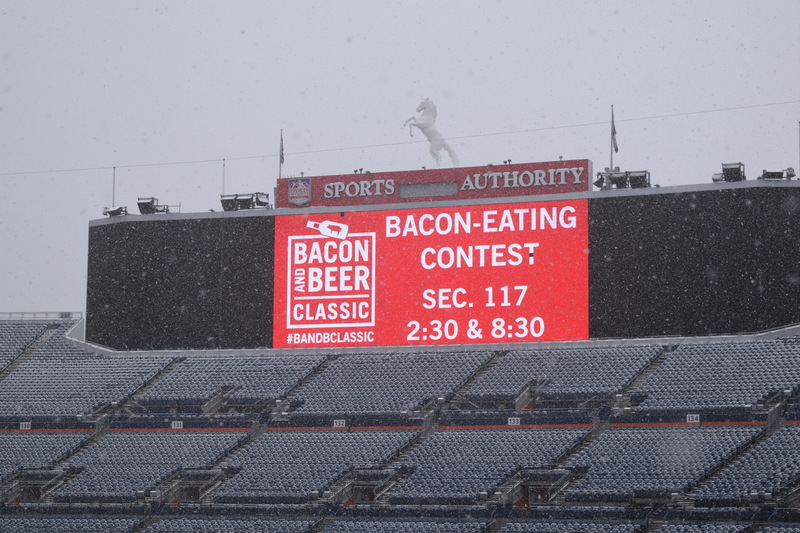 Apparently, the answer to that question is the Bacon and Beer Classic in Denver. 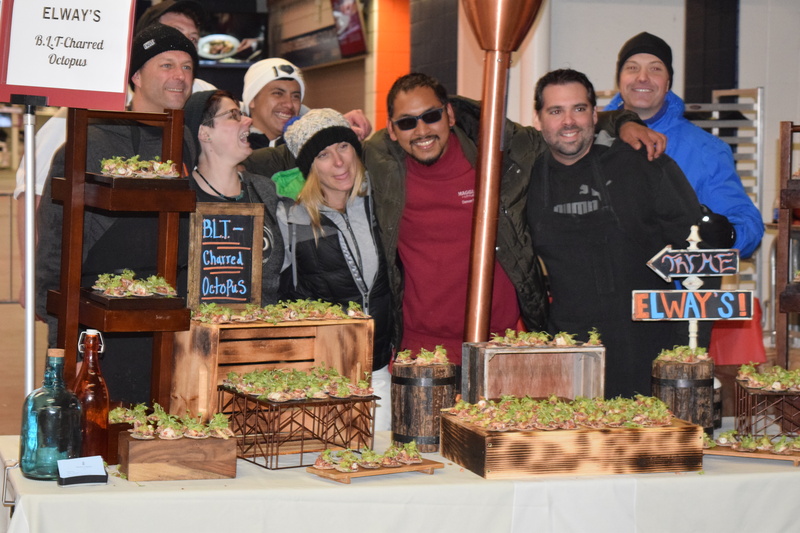 The Bacon and Beer Classic is an event where more than thirty restaurants and seventy breweries get together to provide an homage to all things bacon and beer. 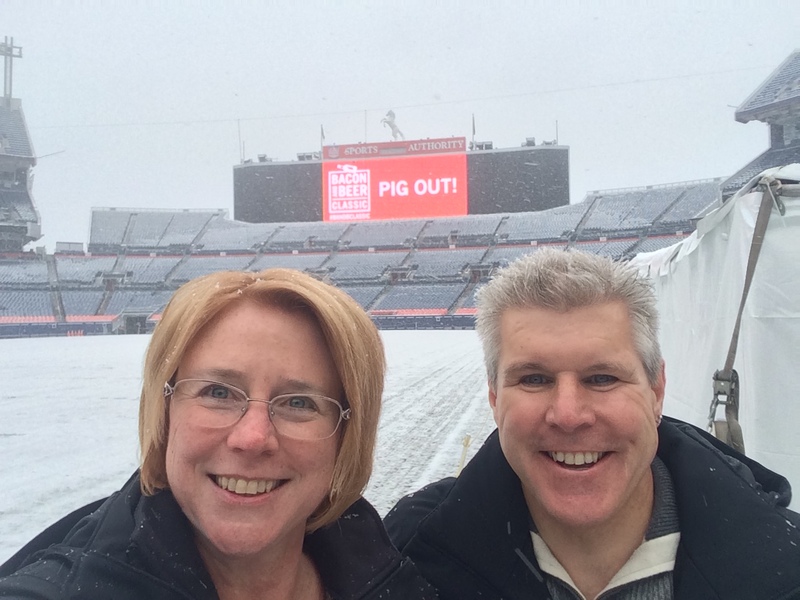 It was our first time going to an event such as this and we certainly weren’t disappointed. 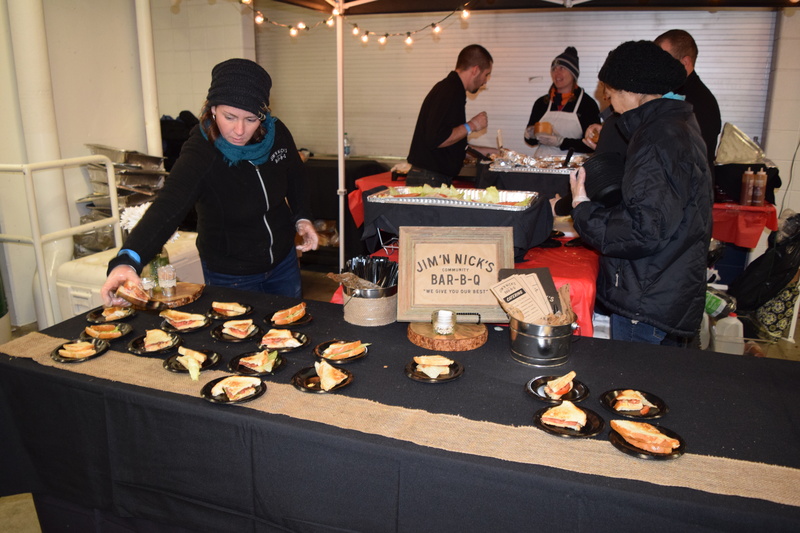 Held at the football stadium in Denver, there was an incredible array of food featuring bacon and the varieties of beer were spectacular. After a night of eating everything bacon and drinking beer, we might have to exercise for a month to work off all of the calories, but it was well worth it. 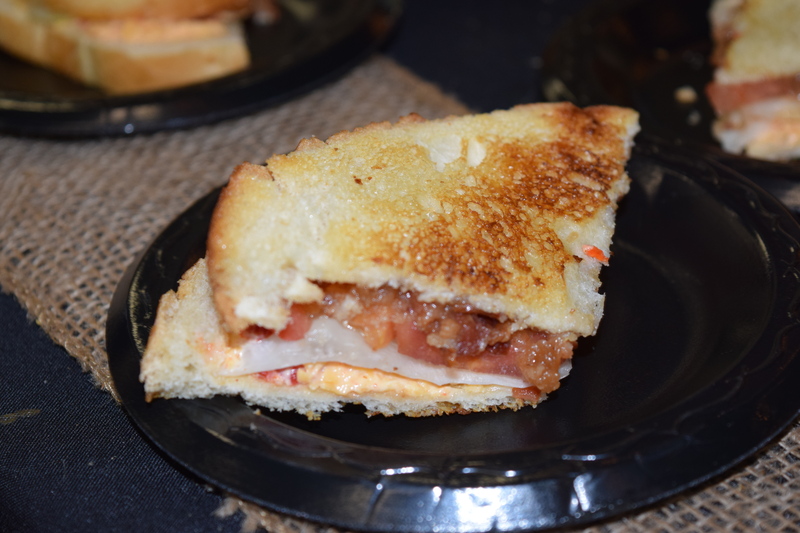 We’re not food critics, but we’ve included some our favorite food items and beers that we tried during the event. 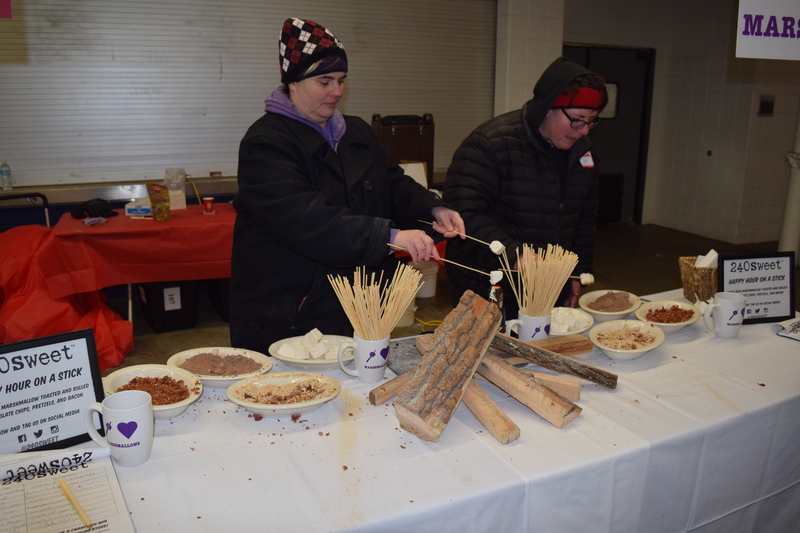 First and foremost, everyone that we talked to as we roamed amongst the various booths were incredibly friendly and happy to talk about what they had prepared for the evening. 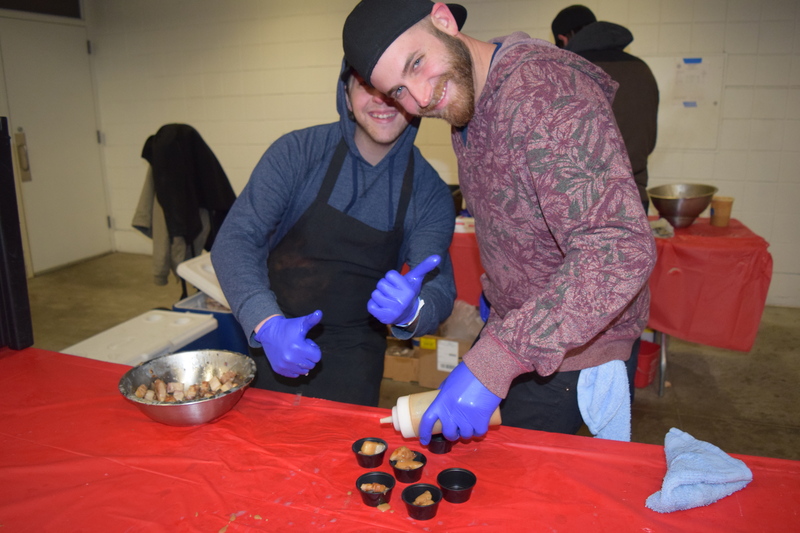 Despite being terribly cold, it was very evident that they all had a passion for creating unique food and beer and the love of what they did came through with the offerings that they prepared. 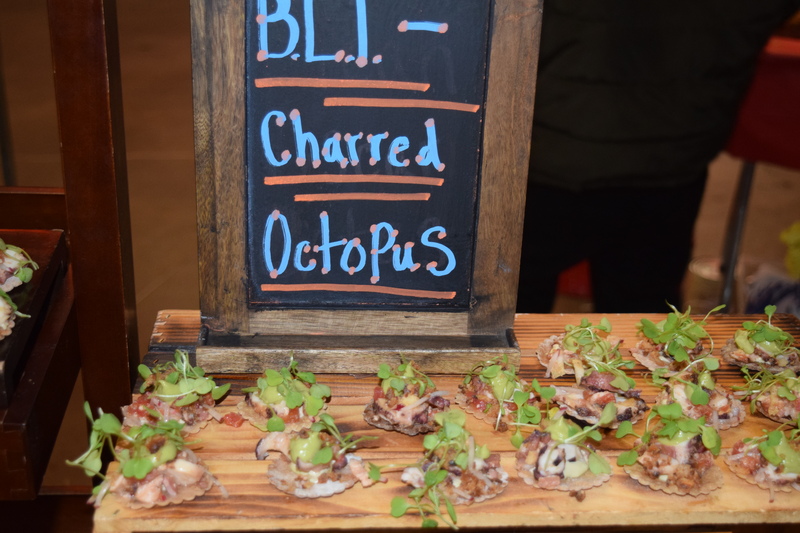 The BLT Charred Octopus from Elway’s was definitely one of the most interesting foods that we tried. 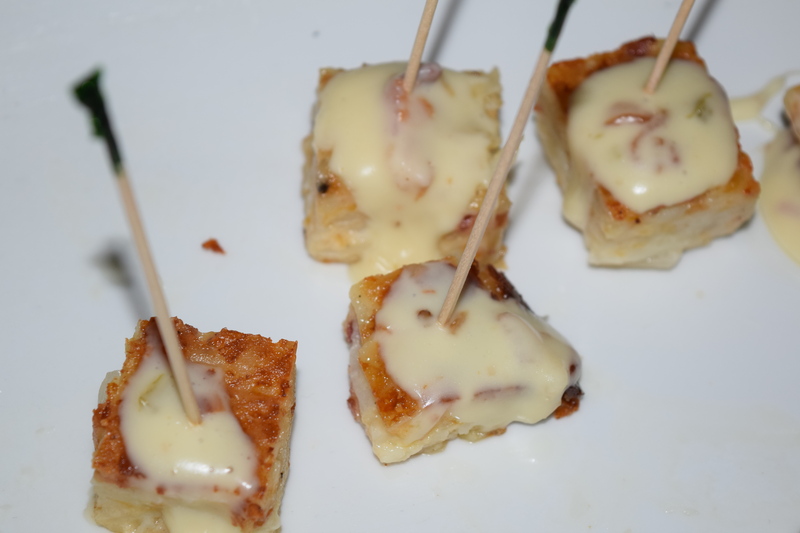 It had a perfect combination of flavor and texture, including a beer infused cracker that they made themselves. 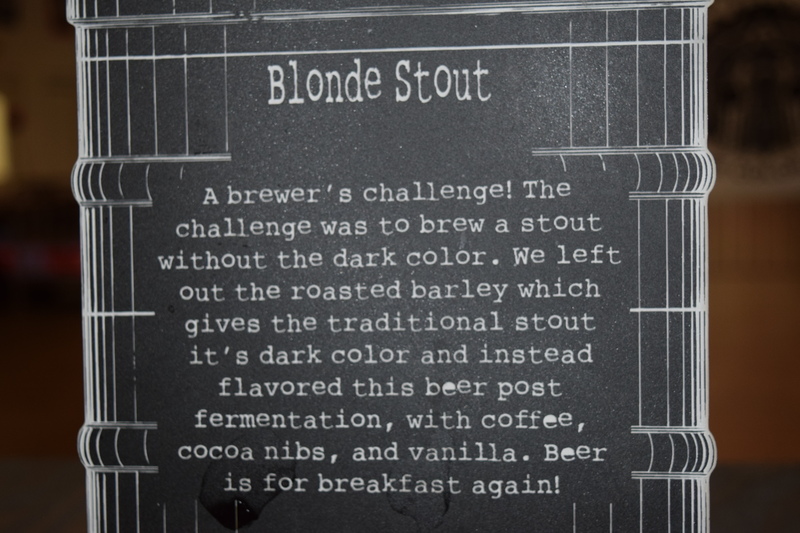 It went perfectly with the Blonde Stout that we had from the Industrial Revolution Brewing Company, which was lighter than most stouts, but still had robust flavor. For the sweet lovers, the Happy Hour on a Stick from 240 Sweet was an impressive treat with a toasted marshmallow rolled in chocolate, nuts, and bacon. 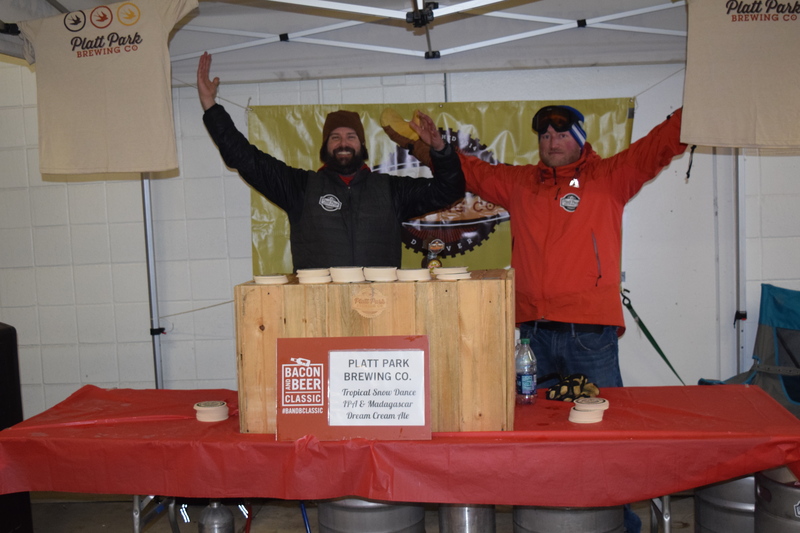 Similarly, the Madagascar Dream Cream Ale from Platt Park Brewing Company was an interesting combination of a creamsicle and ale, giving it a hint of sweetness, but still being faithful to the flavors of a traditional ale. Their Tropical Snow Dance IPA was equally interesting with the usual hoppy notes of an IPA, but with a softer flavor profile, although there was nothing tropical about the weather that day. The Bacon and Hashbrown Casserole with Bacon Queso Fundido from Wild Eggs was a little taste of heaven and definitely one of our favorites from the night. It was creamy and delicious with just the right amount of bacon. 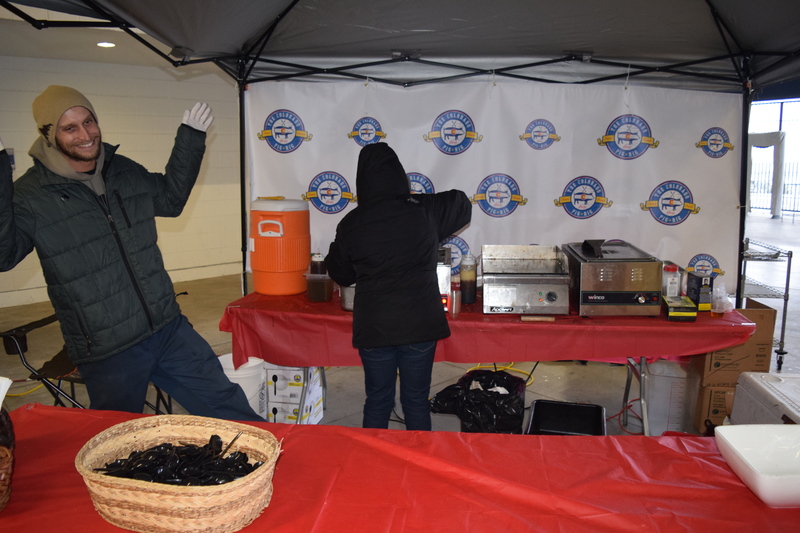 And for those that just can’t get enough bacon, there were plenty of flavor infused bacon strips to try, especially from the folks at Hormel’s Black Label Bacon who were dishing them out by the handful. 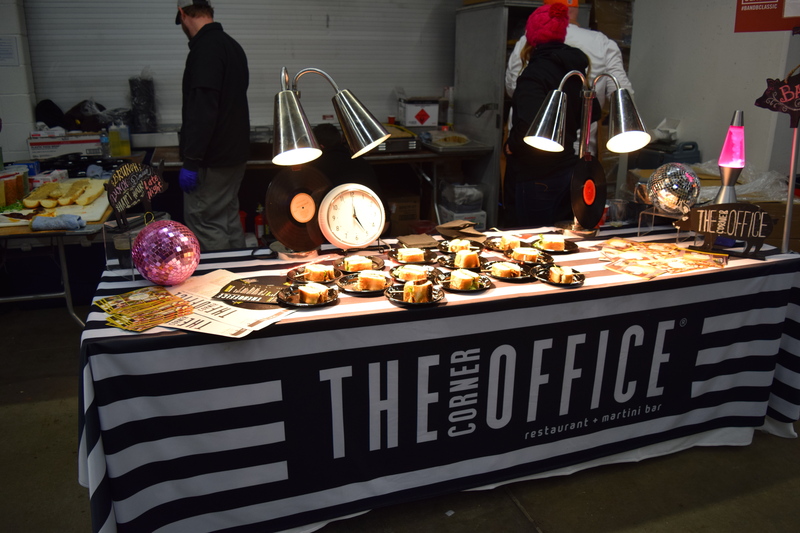 Admittedly, their Jalapeno Bacon was pretty darn tasty. 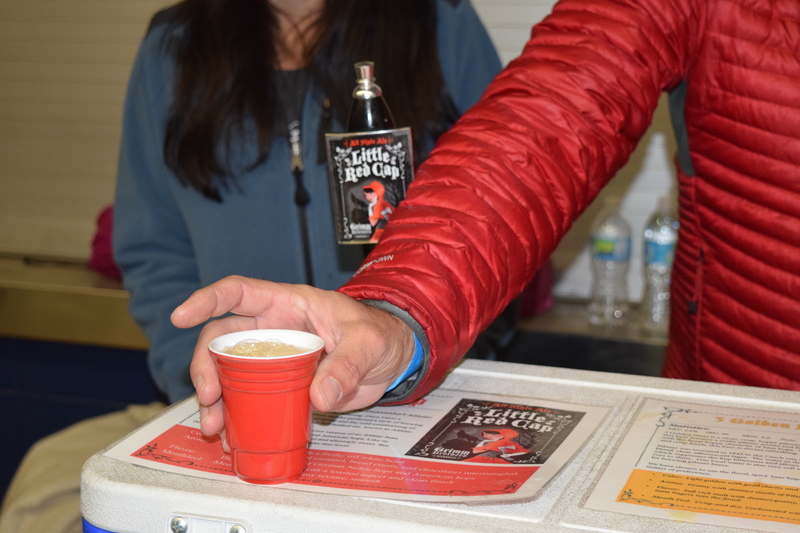 The Grimm Brothers Brewhouse had a nitro-infused Little Red Cap and a 3 Golden Hairs Pilsner that had a much happier ending than any of the fairytales that might have inspired their names. 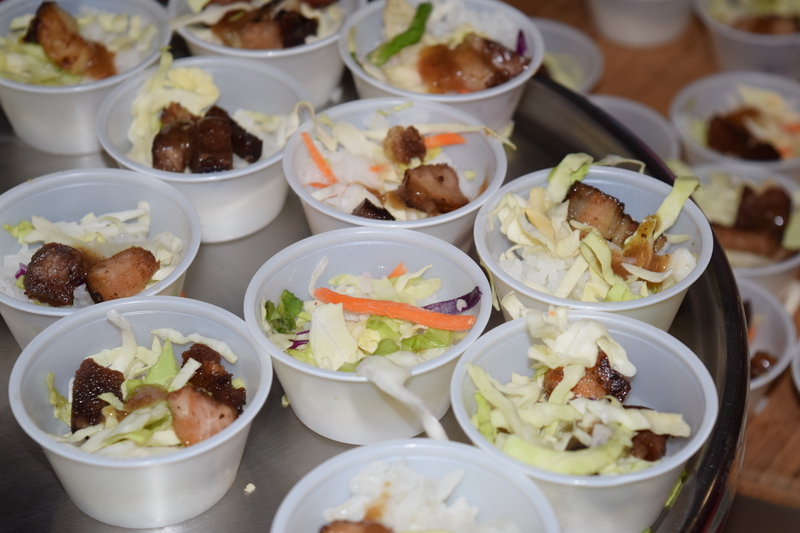 The House Cured and Hickory Smoked Bourbon and Apple Cider Braised Bacon from The Colorado Pig Rig was the perfect combination of sweet and savory, but one of our favorite bites of the night was the Pork Belly Banh-mi with Asian Beer Mustard, Pickled Veggies, and Cilantro from The Corner Office. 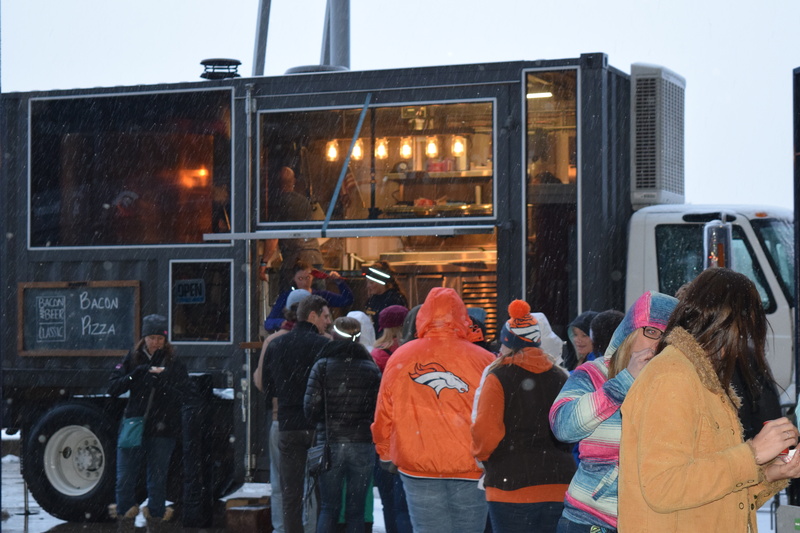 Based on the number of people who braved the elements to enjoy an evening of bacon and beer, there are certainly a lot of bacon and beer lovers in Colorado. 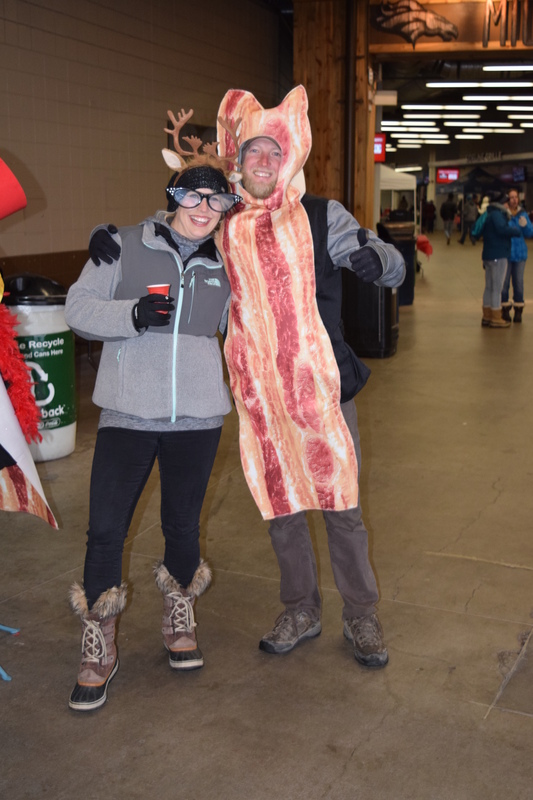 We know that the love of beer is shared around the world, but perhaps the love of a bacon is as universal as well. 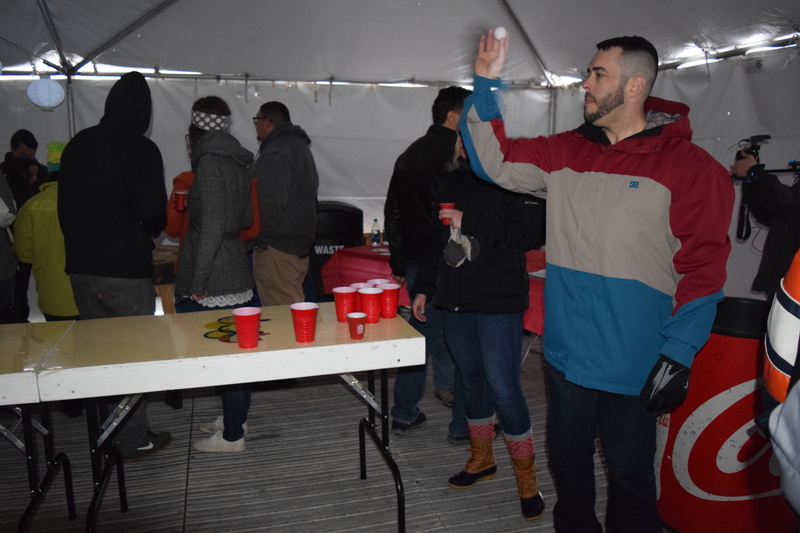 If good food and drinks weren’t enough, there was also fun to be had with lively games like Giant Jenga, Beer Pong, Bean-Bag Toss, and more, as well as a band wandering the corridor. 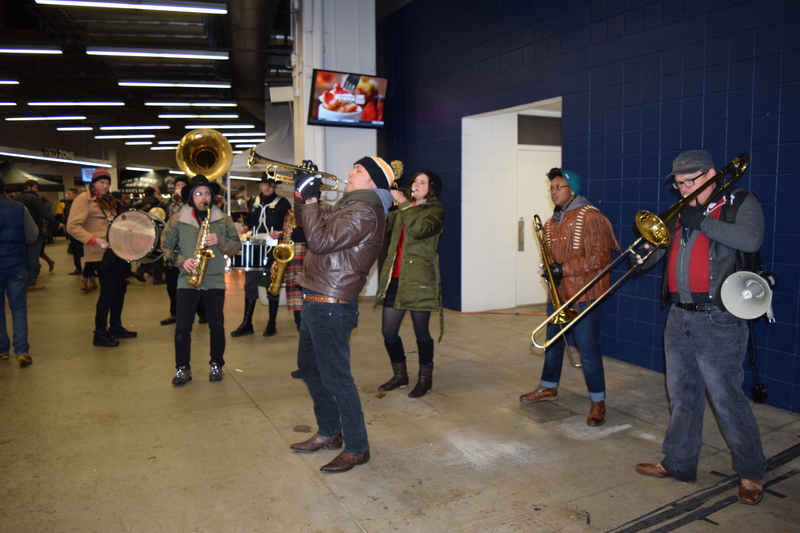 People were definitely enjoying themselves, but then again, it was all you can eat and drink. 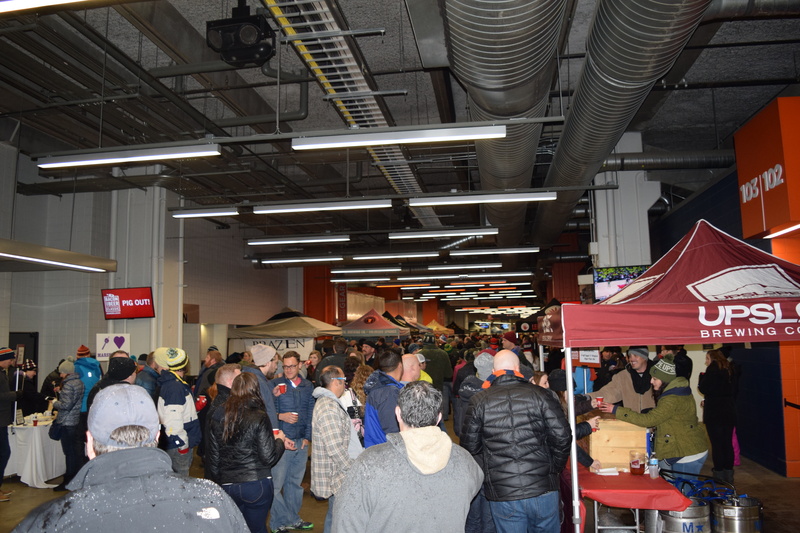 There was so much good food and beer that we can’t tell you about everything that we ate and drank, but there are a few more that are definitely worth mentioning. 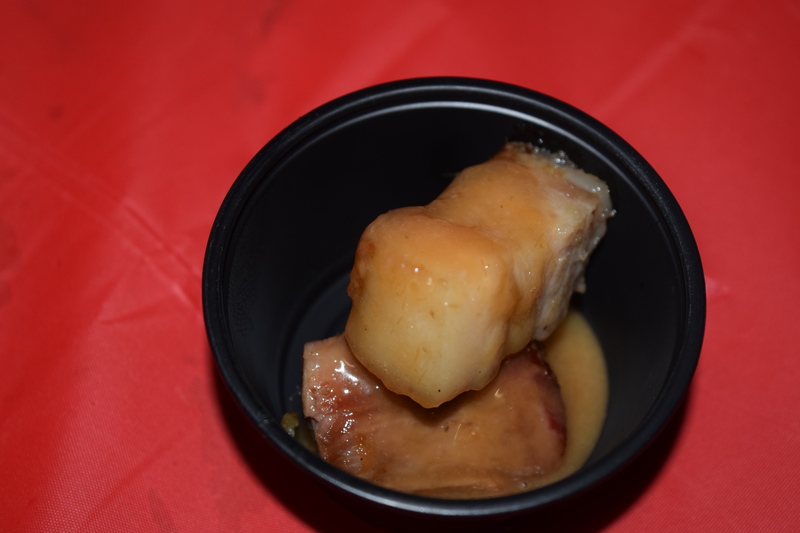 The Citra Hop and Ginger Bacon with Rhubarb Caramel Drizzle from First Draft Tap Room and Kitchen was extremely good as was Bacon Jam and Pimento Cheese Sandwich Quarters from Jim ‘N Nick’s Bar-B-Q. The root beer from Not Your Father’s Root Beer is decadently good since you don’t taste any of the alcohol. 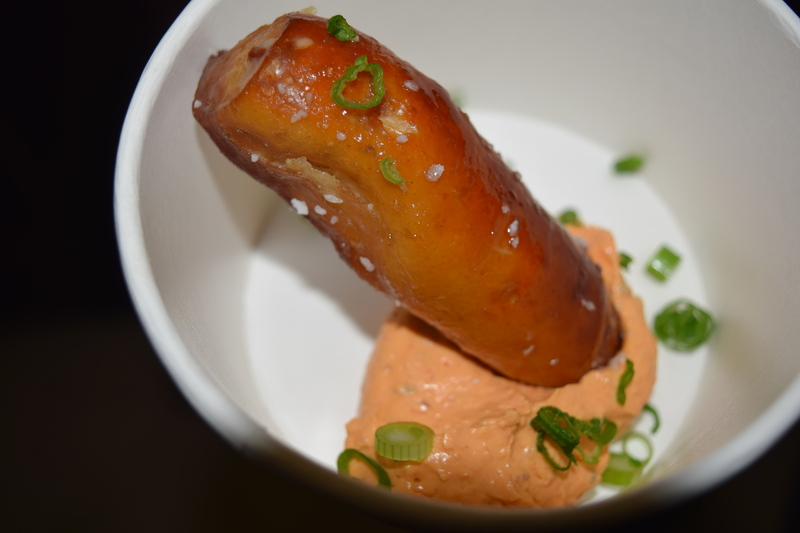 For a perfect beer pairing, the Bacon Pretzel Sticks with Bacon and Beer Obatzda from Rhein Haus was a definite must try. 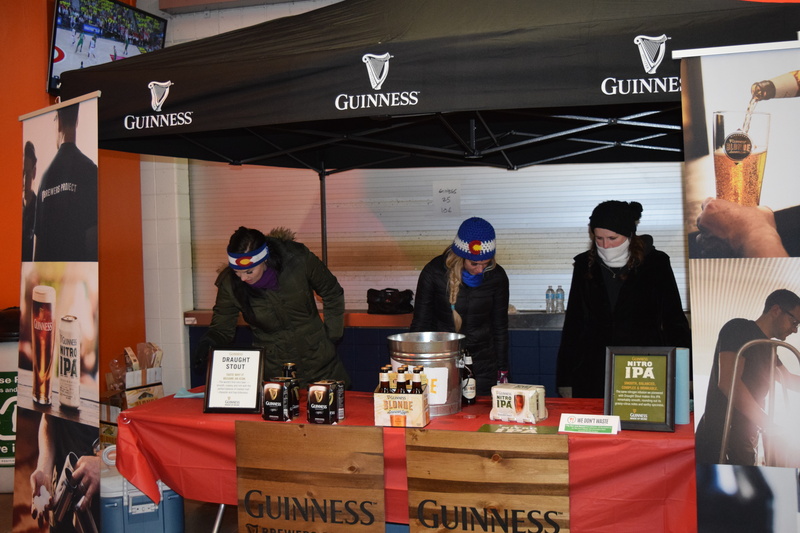 Guiness was there to show off their new Nitro IPA, but we were more impressed with the Colorado craft beers from Aspen Brewery, Upslope Brewing Company, and we were really impressed with German Hefe from Odyssey Brewing. 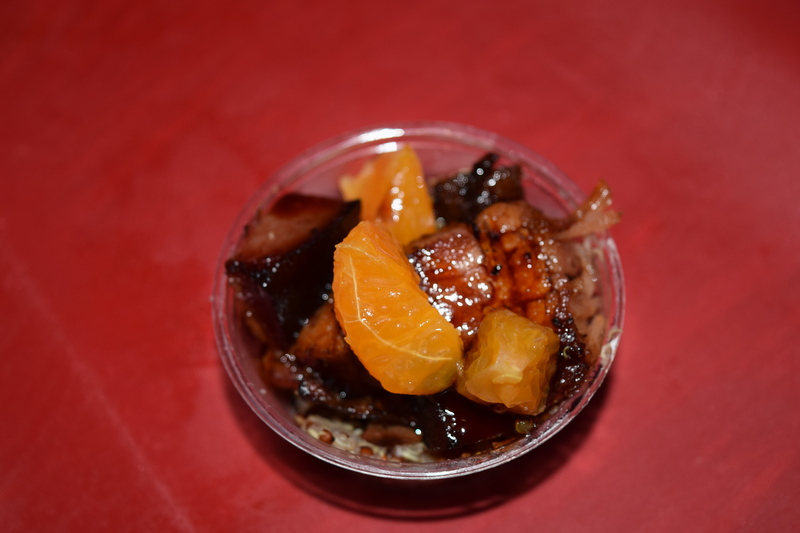 The Bacon Pizza from Simply Pizza was absolutely delicious as was the Smoking Crackling Pork Belly Bites with Lechon Sauce from Orange Crunch. 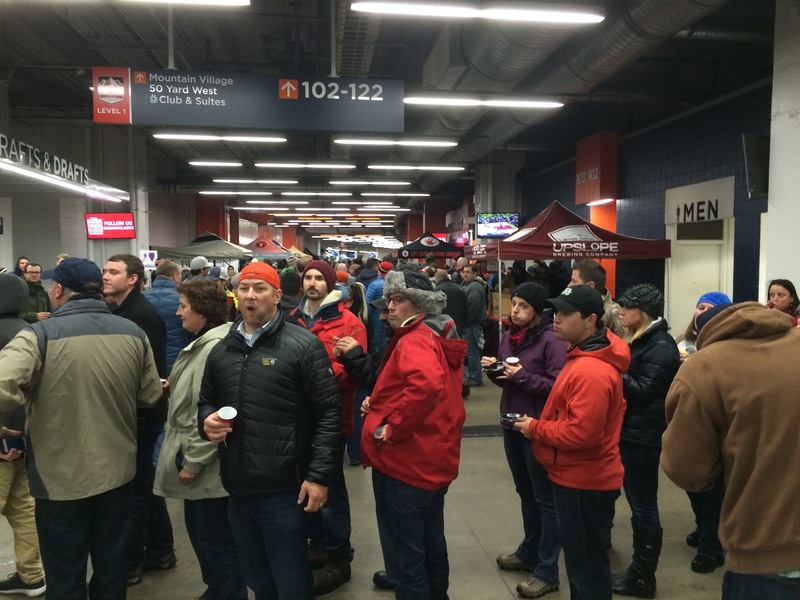 All in all, it was a great night of food, beer, and fun. We’ll definitely be going back again next year when hopefully it will be much warmer. It will probably take us that long to lose the weight that we gained in a single evening of pork and ale, but it was worth a night of over-indulgence. 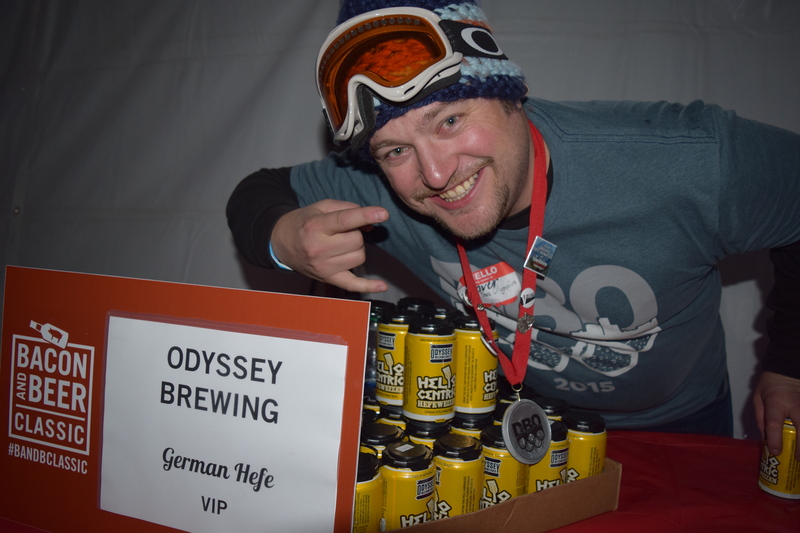 This entry was posted in Colorado, Craft Beer and tagged bacon, BandBClassic, beer, Colorado, craft beer, festival, Food, fun, photography, travel. Bookmark the permalink. 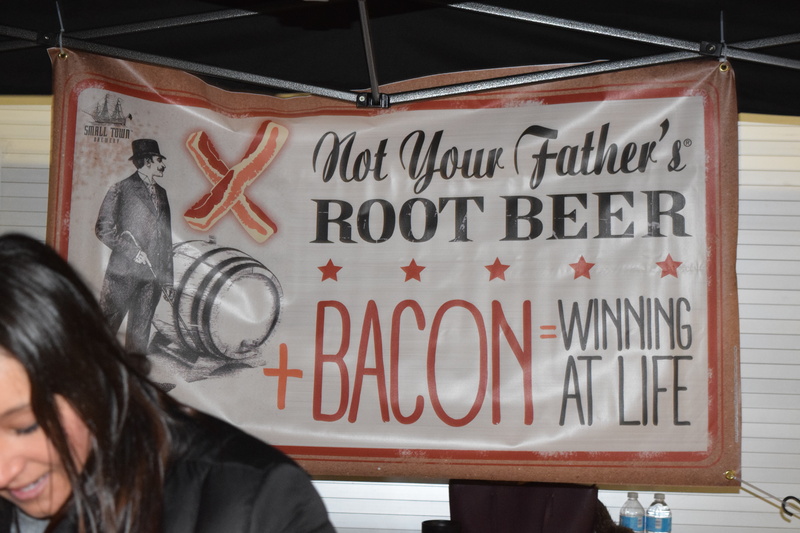 7 Responses to Bacon and Beer – Need We Say More? I am impressed that you drove here for that. I believe the storm even postponed the marijuana festival Saturday. Somehow I missed this. Great photos. Thanks for sharing. Looks like a great event. LOOKS LIKE A GREAT PARTY.